R.S. 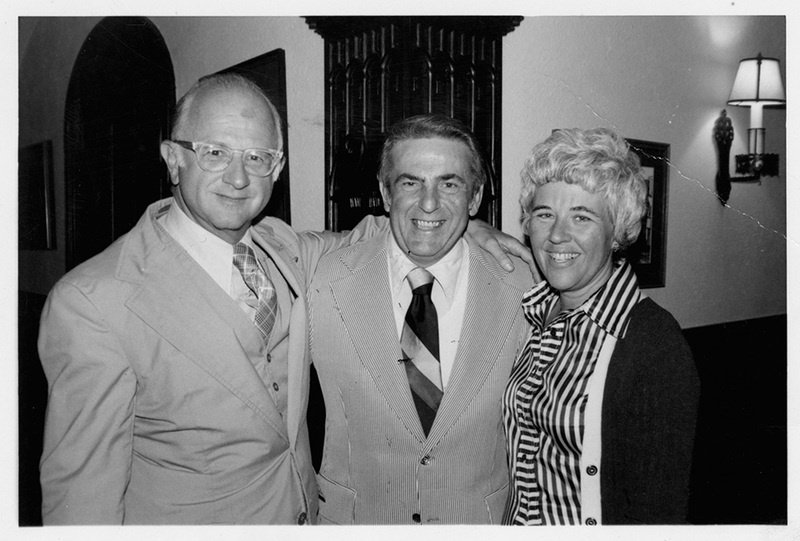 Mendelsohn standing with one arm around Abner Mikva, [former former U.S. Congress Representative]. To the other side of Mikva is Rita Mendelsohn.